Resonance Repatterning Students who have completed the basic curriculum courses are welcomed to declare their intention to become a certified practitioner and enter the certification program. Membership in the first year includes a one time fee for the certification program, certification manual and application. Members have a vote at the Annual meeting, may participate in the leadership and governance of the organization and receive all membership benefits. This is an essential intern level of gaining and working towards demonstrated competence as a practitioner. Only approved Student Practitioner Members may apply for certification once all prerequisites have been met. 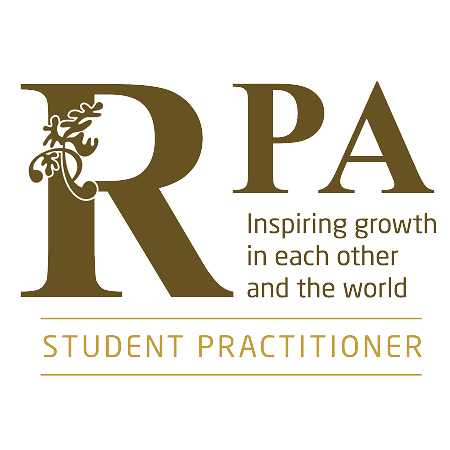 Upgrade from Student Member to Student Practitioner Member via your account settings. Completion of the 5 basic course requirements. The approved training program is provided by the Resonance Repatterning Institute (RRI) owned by founder Chloe Wordsworth. To register for these courses visit the Resonance Repatterning Institute for more information. Enrollment in the certification program for demonstrating competencies with one time application fee. Receive free downloads such as "The Embracing Success Transforming Your Professional Goals, Repatterning"
Program access to the Mentorship program, World Peace Hologram (Learn how to provide group sessions), RPA Journal (Learn how to write for the web and establish a credible web presence). One free sponsorship ad (1yr Subscription) displayed on the homepage carousel (value $60.00 to non members). Initial fees paid in the first year include $150 Student Practitioner Membership Fee and a one time $125.00 Certification Fee. The annual fee of $150 provides continuous access to all members-only content and your certification completions begin counting toward your total requirements for certification. We do provide a sliding scale and payment plans if needed. Continue reading for the Lapsed Student Practitioner Membership Policy. Payment plans are also available: 2 payments of $75.00 or 4 payments of $37.50. Sorry coupon codes do not apply to payment plans. Resonance Repatterning Students who have completed the first basic 5 curriculum courses may declare their intention to become a certified practitioner and enter the certification program. Membership in the first year includes a one-time fee for the certification program($125.00), access to the "Certification program" website, certification manual and application. Student practitioners may also list their services on the Student Practitioner Listing page. Student Practitioners may host WPH Events, publish articles in our Journal online, and list their services in the Membership directory.